How is Periodontal Disease Treated? A key to implant success is the quantity and quality of the bone where the implant is to be placed. The upper back jaw has traditionally been one of the most difficult areas to successfully place dental implants due to insufficient bone quantity and quality and the close proximity to the sinus. If you've lost bone in that area due to reasons such as periodontal disease or tooth loss, you may be left without enough bone to place implants. Sinus lift surgery can help correct this problem by raising the sinus floor and developing bone for the placement of dental implants. Several techniques can be used to raise the sinus and allow for new bone to form. In one common technique, an incision is made to expose the bone. Then a small rectangular opening through the thin outside wall of the jaw is made. This bony piece is lifted into the sinus cavity, much like a trap door, and the space underneath is filled with bone graft material which will encourage growth of new bone tissue. The incision is closed and healing is allowed to take place. Depending on your individual needs, the bone usually will be allowed to develop for about 6-8months before implants can be placed. After the implants are placed, an additional healing period is required. In some cases, the implant can be placed at the same time the sinus is augmented. Undergoing sinus lift surgery has been shown to greatly increase your chances for successful implants that can last for years to come. Many patients experience minimal discomfort after this procedure. Sinus lift procedures are routinely done for upper implants and successfully provide enough bone to anchor them. Procedure: An incision is made in the gum covering the upper jaw and a small amount of bone removed to expose the sinus cavity. The lining of the cavity is gently lifted and bone material inserted below it. 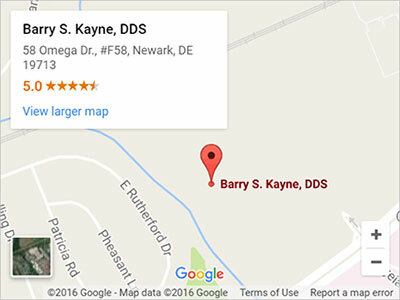 Barry S. Kayne, DDS is rated 4.8 out of 5 based on 73 reviews from around the Web. Dr. Kayne & his team are absolutely outstanding. You won’t be disappointed. I cannot say enough great things about this business. Very happy with all of the girls in the office. everyone is very helpful. Dr. Kayne made my husband feel very comfortable. We would highly recommend him. Dr Kane and his dental staff are knowledgeable, thorough, and friendly. I always feel they give their best to me and make me feel very good about about the treatment I'm getting. If I needed additional periodontal work, I'd definitely come back here. I have a huge fear of dentists and having work done. The staff was great and very caring. They helped my concerns. Design by Dentist Design, Inc.